Health Minister Dzulkefly Ahmad today confirmed that a senior doctor who allegedly sexually harassed several trainee doctors would be suspended to facilitate further investigations by the authorities. In a statement today, Dzulkefly said investigations carried out by an independent inquiry body found that there were sufficient grounds for his ministry to take further action against the Klang Valley hospital head of department for his misconduct. In July, it was reported that a department head of orthopaedics had sexually harassed and made sexual advances against house officers under his care. The report caused an outcry among civil groups, NGOs, medical associations, politicians and the public. 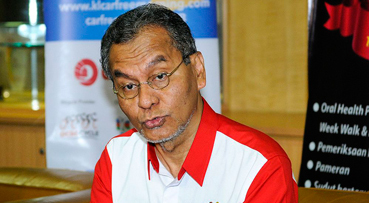 Dzulkefly subsequently announced the formation of an independent inquiry body to probe the alleged misconduct. The inquiry body, which consisted of representatives from the health and women, family and community development ministries, also recommended lodging a report with the Malaysian Medical Council to investigate the matter under the Medical Act 1971. Dzulkefly did not specify when the suspension would take place, but stressed that the health ministry would take “necessary action” to suspend the doctor in line with The Public Officers (Conduct and Discipline) Regulations 1993. One of those interviewed in the report had said a police report was lodged last year, but no action was taken. A recent survey found that a majority of junior doctors and medical housemen in the country claimed to have been bullied at their workplace, with about 17% saying it was so bad that they thought of ending their lives. Shortly before the media report on the doctor, a separate report by a houseman at a hospital in Kuala Lumpur against a senior doctor who was allegedly abusive went viral as well.